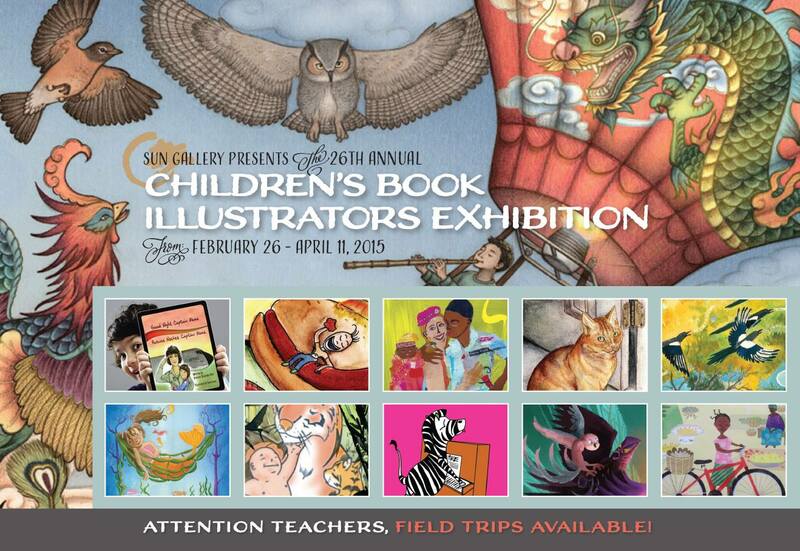 For the Third year running, I will be participating in the 26th Annual Children’s Book Illustrator Exhibit hosted by the Sun Gallery in Hayward California. This Saturday (March 14, 2015 – 1:00pm to 4:00pm), the artists’ reception will take place and you’re invited! Seven works of art from the Graphic Novel TIGER’s TALE will be on display; some had only just recently been completed when the opportunity to have them on display arose. From the seven pieces on display time-lapsed videos depicting the creation of two of them have been published, others videos will be published eventually. Other images were saved for the preview below, perhaps they’ll entice you to have a look at them in person. And for the purposes of #ThrowbackThursday here is some video from previous years.